Lions band is important to me because it is an opportunity to play with many people, with a wide range of instruments as well as stretch my abilities and learn and read familiar and unfamiliar pieces of music. Lions Band is a chance for me to get to play music even more than I would on a normal basis, and try to become a better musician. Lions Band is how I met some of my closest friends today. It was one of the best experiences I have ever had in my whole entire life. Lions Band was like a family to me. It means being able to play something that you are good at and passionate about with people who feel the same exact way. It is about building bonds with people who you haven't met before or making your previous ones stronger. Lions Band is so important to me because I get to be with people that have the same passion about music as I do. It is also important to me because I get to play music, and that is what I love most. It means to me that I get to participate in a great large ensemble with wonderful talented musicians. I look forward to it every year. I love seeing the joy in the Lions members faces when we perform for them. Lions Band allows me to share my love of music with fellow musicians and allows me to bring the art of music to people outside the normal realm of musicians. It also allows me to learn more about my instrument. There is always room to grow as a musician. 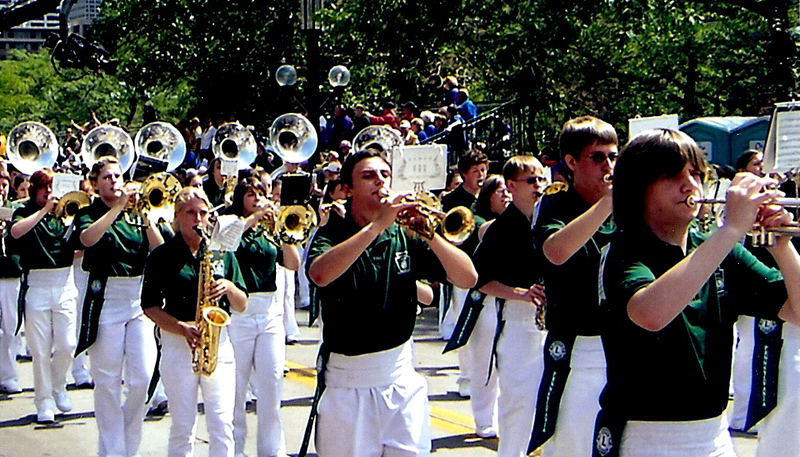 The 2009 Band marches in the Minneapolis Lions International Parade. I love Lions Band now, and have loved it since day one. Every I attend a state convention or international, the high impact musical experience that is Lions Band makes me work harder to achieve my goal of being a Music Educator. To me, Lions Band means Excellent Musicianship and a large family of people who care about each other and will push each other so to create the best music possible. I've made so many friends because of Lions and I don't know what I would do without many of them. The opportunity to perform with a talented ensemble and passionate directors for an audience who genuinely appreciates what we do is awesome.